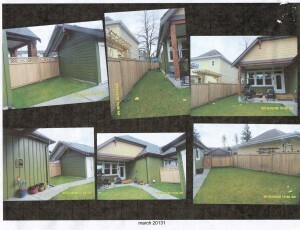 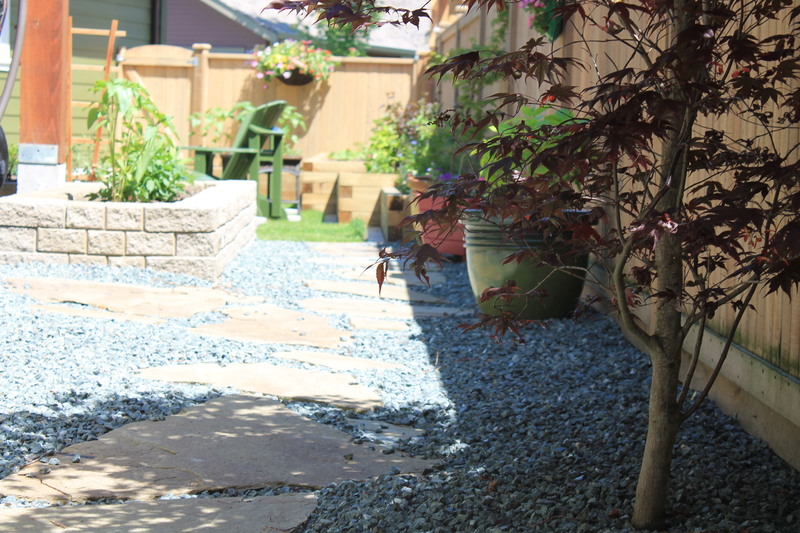 Lillemagi Backyard Oasis | LawnPro Landscapes LTD.
Lisa first called LawnPro Landscapes LTD to get some ideas to turn her boring basic backyard into a peaceful retreat for reading and playing with her dog. 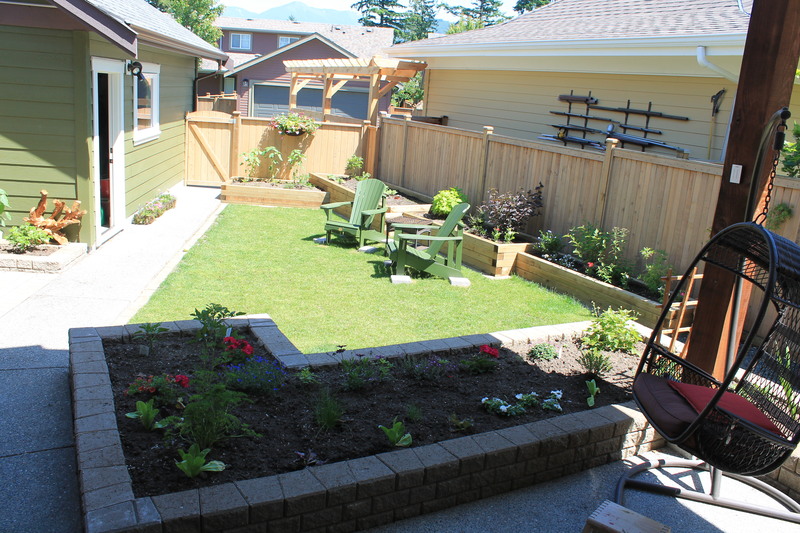 She wanted a sunny area for lawn furniture, a pathway along the side of her house, and some raised garden beds to plant vegetables and seasonal flowers. 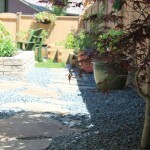 All while everything was to be low maintenance and maximize her limited backyard space. 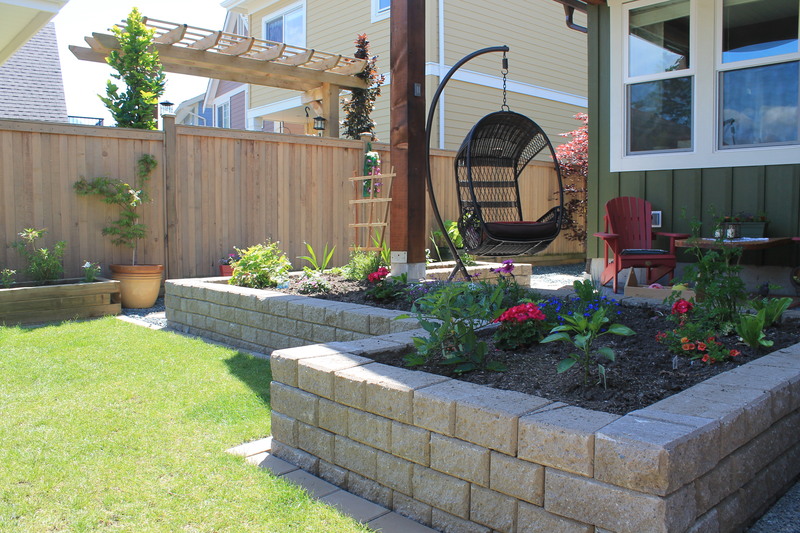 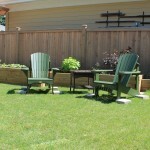 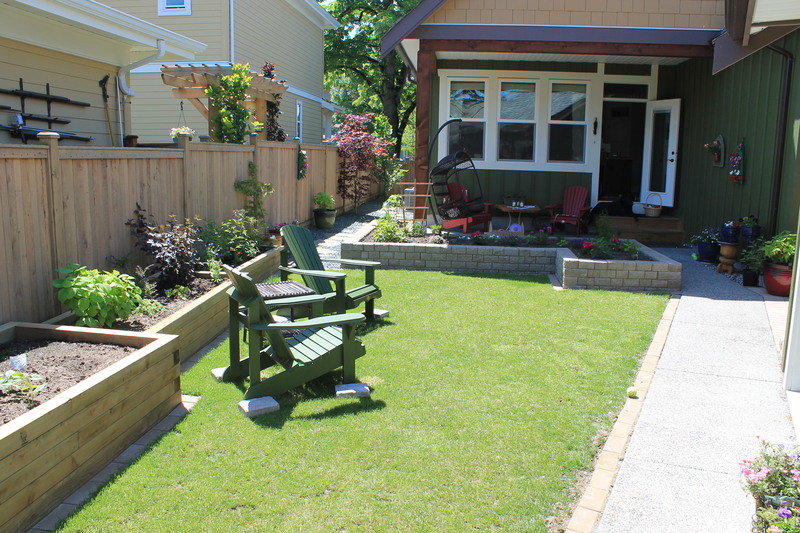 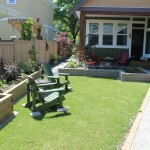 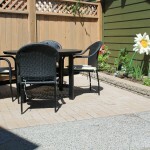 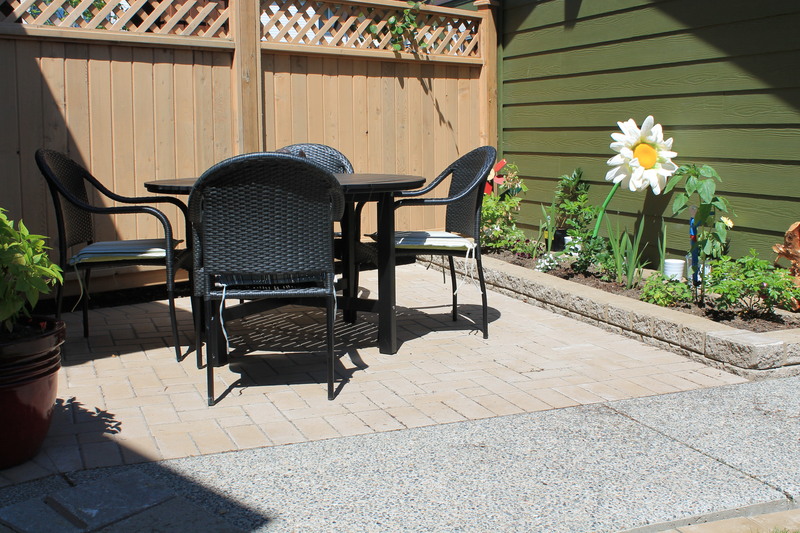 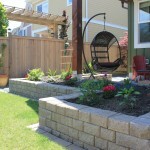 LawnPro took a small awkward area by the garage and transformed it into a sitting area by adding paving stones and a raised StackStone garden bed. 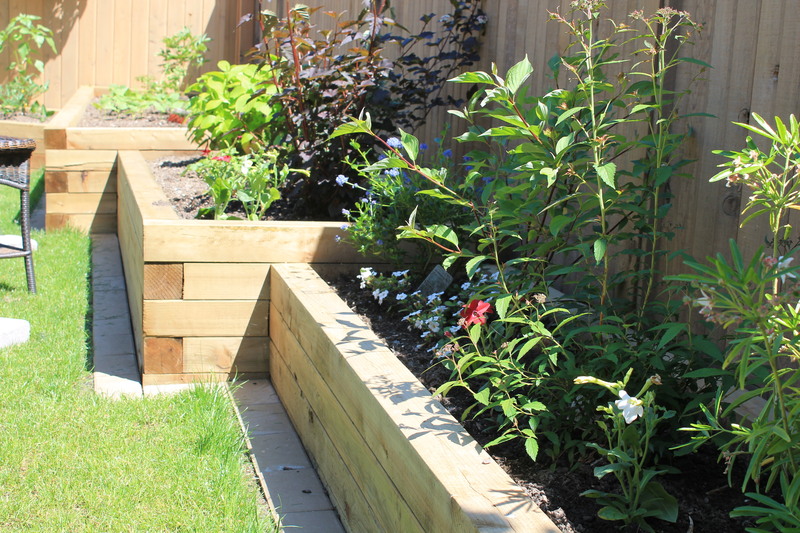 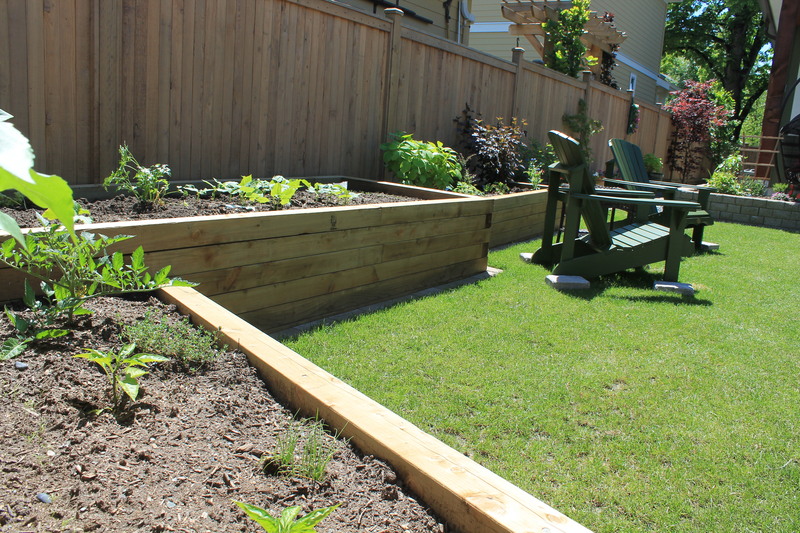 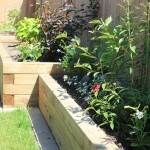 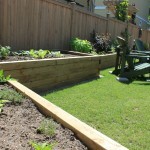 The main grassed area was split into 3 sections: A StackStone raised garden bed for privacy plantings; a grassy play area for the dog; and several unique multi-dimensional wooden vegetable boxes. 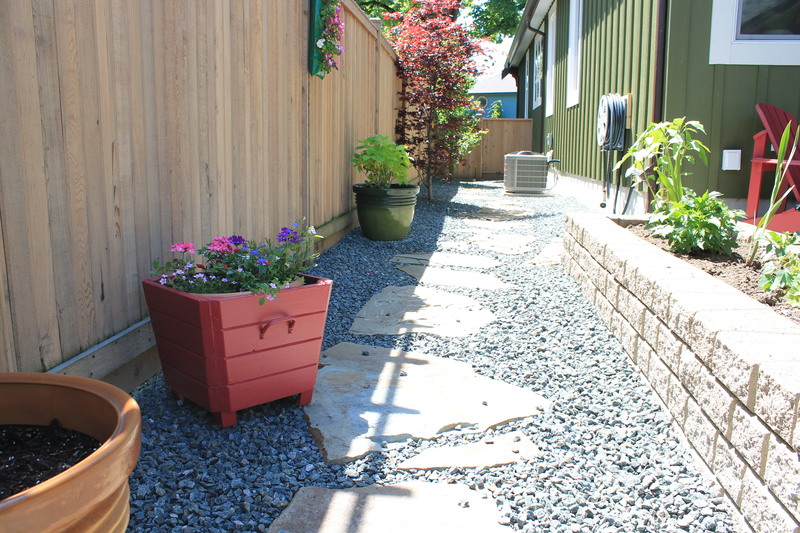 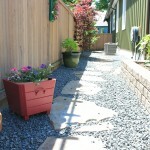 The side yard was transitioned from a muddy dog run to a clean flagstone pathway with crushed rock. 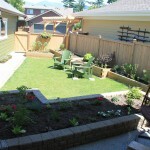 A nice maple tree was also added to provide privacy from the neighbors. 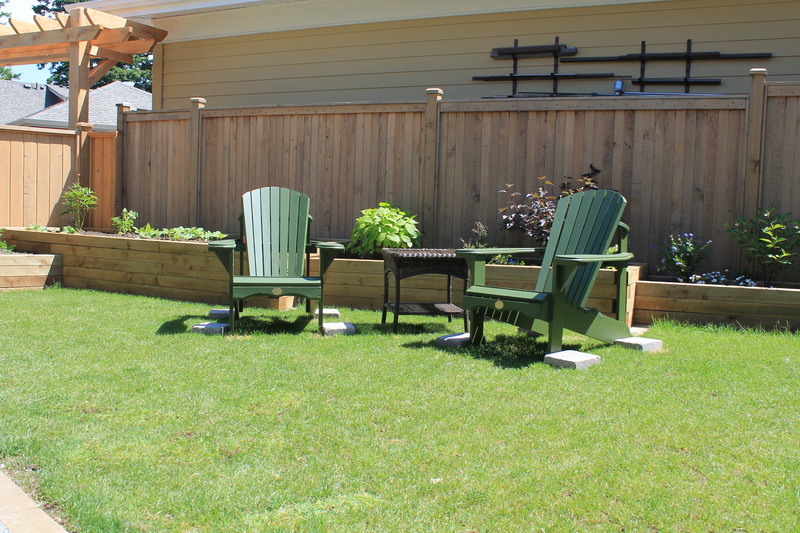 All in all, a complete backyard oasis.